Upon invitation, we offer support to governments, institutions and others who seek to apply the principles embedded in UN Conventions to the practical context of their own country. 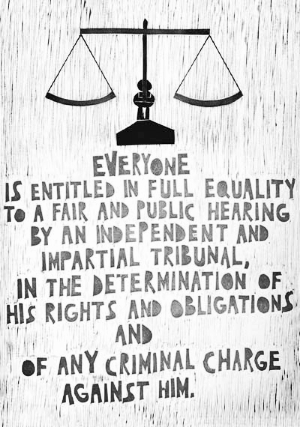 Our work is context specific and solution-oriented directed at ensuring ordinary people (and particularly those on the margins of society) have a voice and are able to apply to the law to exercise their rights. We have learned that the problems affecting justice systems the world over are common, though they may differ in degree: justice as a ‘sector’ is messy (comprising: politics, inherent tensions - justice v security and multiple service providers/institutions); justice providers do not co-ordinate very well so the system does not function efficiently or effectively or fairly to all; and the symptoms of dysfunction are often manifest as a slow or corrupt process with long case backlogs and prisons congested with people who are poor rather than dangerous. Our approach is grounded in evidence: what is the real situation; and the political economy: how might it be improved. We bring a body of collective experience of what has worked in other countries and link people to the practitioners who have innovated them. A hearing in a village court in Bangladesh - GJG has been active in supporting primary justice services, such as the village courts in Bangladesh. As a free association, the GJG identifies and brings together world-class practitioners to help develop solutions to practical problems arising in the administration of criminal justice. The group is managed lightly by three co-directors who are based in various locations around the world. The GJG has close relations with several universities, and we maintain professional links with bar associations in a number of countries. In addition to working directly with governments, the GJG partners with a range of development agencies and NGOs. For a current list of active practitioners working with the GJG please see the 'practitioners' link in the menu above. The GJG is registered as a private limited company in the United Kingdom through which it runs consultancy services; and it is registered in Portugal as a non-profit NGO through which it manages any grant-assisted projects.